Enid Blyton must take some responsibility. The idea that you can spend years entertaining children with exciting tales about other children solving mysteries (The Famous Five, The Secret Seven, The Five Find-Outers & Dog) without it having repercussions in their later life is fanciful. Without a doubt, it’s the reason I’ve always had a deep seated urge to solve mysteries. And this need continues well into retirement. It began back in mid January when my sister bought me a birthday present online to be sent directly to my post office box. But when my birthday came and went and I hadn’t thanked her, she realised the item had gone missing, and so began the investigation initially known as The Mystery of the Missing Parcel. But when we checked on the Australia Post website, the parcel appeared to have been delivered to my local post office two weeks earlier, just a few days after it had been sent. A trip to the post office will sort this out, we thought naively. The gift will be there, sitting on a bench waiting to be collected. It did seem odd, though, that they hadn’t placed a ‘parcel awaiting collection’ card into my PO Box. Not by me it hasn’t. Who signed for it? They shrugged. No one has to sign to pick up parcels any more nor show any ID. Even when the parcel’s been registered and the sender took out extra insurance. Naturally, I made a fuss. It was my birthday present after all. They finally offered to look at the CCTV footage taken of the Post Office collection hatch at the exact time the parcel had been collected – ‘11.28am Mon 22 Jan’ – to see who’d picked it up. And this is where the story takes a darker turn. An unidentified man was seen on CCTV taking possession of an identical box to the one I was awaiting at exactly that time. This was no longer a simple mystery, this had turned into a crime. The birthday present, it turned out, was a box housing four bottles of Vino Cotto, an elixir so delicious that, well, it just had to be found or someone would have to pay. My sister had recently discovered that this little gem was being made to the original Italian recipe right here in Australia. Its literal translation is ‘cooked wine’ but it’s so much more than that. Making vino cotto involves the long, slow reduction of grape ‘must’, the juice of a particular variety of grape, with the addition of ash from the burnt grape vine. The resulting rich, exotic syrup is then stored for months before being brought out for special occasions. When I was a child, my grandmother would slave over its production so that every Easter it could be retrieved from storage and served drizzled over Crostoli as the entire family – parents, aunts, uncles and cousins, scrambled for the last drop of this liquid gold. Making it was so laborious, so complicated that we all knew we’d not see it again for another year. That did it. No strange man was going to get away with my birthday bottles of vino cotto, so I swung into investigative mode and set up my white board. Aforementioned unidentified man then takes the parcel home, opens it without any concern that his name is not on the label and that it isn’t his birthday, sees the word ‘Vino’ on the bottles and thinks all his Christmases have come at once. The Post Office hasn’t taken kindly to my suggestion that they place a WANTED poster sporting the unidentified man’s image on every billboard around town, so I have little hope of discovering his identity. But a couple of things cheer me up. Australia Post has finally refunded us for the value of the goods so I’m expecting more bottles of vino cotto to arrive any day now. And best of all, unidentified man wouldn’t have had a flood of lovely childhood memories as he indulged in my vino cotto and I trust he was bitterly disappointed to discover that, despite being utterly delicious and addictive, it contains no alcohol whatsoever. My culprit may remain elusive, but three bottles of vino cotto PLUS a jar of marinated wild baby figs in vino cotto arrived at my door (thank you to Angela from Il Baronello) in time for Easter. Just drizzle over fresh Crostoli. This entry was posted in Family, Friends and Home, Food and Cooking, Learn New Skills, Try Something Different, Uncategorized and tagged Australia Post, Enid Blyton, Grape 'must', Il Baronello, Investigate a Mystery, Sleuthing, The Mystery of the Missing Parcel, Vino Cotto on March 25, 2018 by outsidethesquare101. How could I ever forget my one-and-only visit to this beautiful land-locked country? Three of us on the obligatory rite-of-passage backpacking trip around Europe found ourselves in Salzburg at Christmas in 1974. Mozart, the Sound of Music, golden cakes and tortes and strudels that reached out from shop windows to embrace us and our first ever White Christmas. But then life got in the way and I forgot all about the country and its delicious pastries until a few years ago when I was gifted a small slice of an Austrian Panama Torte, baked by my elderly Austrian neighbour Martha and kindly brought over by her husband Joe, as a thank you for the spare eggs I’d given them. I was told this was a special-occasion cake, complex to make and based on a precious recipe they’d brought with them from their home country to Australia after the War. I asked for the recipe a few times over the years, but with our busy lives, it never quite happened so I resigned myself to the memory of that cake rather than ever tasting the reality of it again. Until one day, three months ago, Joe brought frail Martha over to my place – together with her handwritten recipe, translated from the original German, for the famous Austrian Panama Torte! We sat in the garden as Martha haltingly talked me through the Byzantine instructions and I faithfully took notes and tried to make sense of the sometimes confusing translation. 2 ½ ribs of chocolate? Who measures chocolate in ribs? The almonds and the chocolate, I was instructed, MUST BE carefully hand grated. No food processor should go anywhere near them or this whole light and fluffy flourless concoction would come crashing down. And the egg whites have to be beaten to within an inch of their lives but their folding into the almond/chocolate/egg yolk mix must be done with the tenderness of wrapping a newborn. The oven door has to be propped ajar for the first 15 minutes of baking or the mixture might just refuse to rise. Martha’s had a lifetime of practice slicing it horizontally to perfection – two cuts, do you mind – before spreading the chocolate butter icing between the layers, but my skills doing this tricky manoeuvre with such a mercurial cake were untested. … creating three (almost) perfectly cut horizontal slices. This entry was posted in Food and Cooking, Learn New Skills and tagged Authentic Austrian Torte, Old European recipes, Panama Torte on April 24, 2017 by outsidethesquare101. The idea of creating some sort of Popular Movement as a fun and frivolous retirement activity rather appeals to me, especially if it leads to a truly enjoyable outcome. 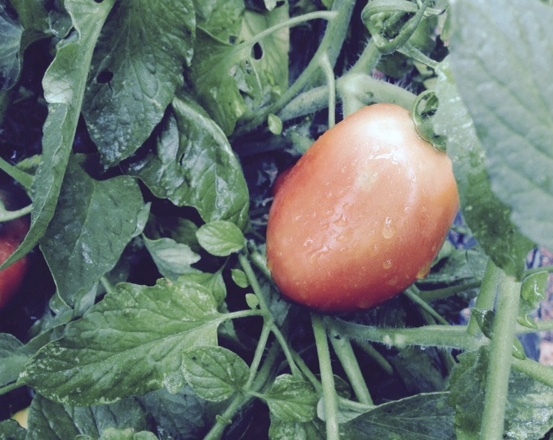 Thankfully, the ‘From Source to Sauce’ movement is about Seed Saving, followed by Planting and Growing, then Harvesting, and finally Cooking and Bottling, all without Sacrificing. Well, as long as you’re happy that picking fruit or vegetables isn’t killing. 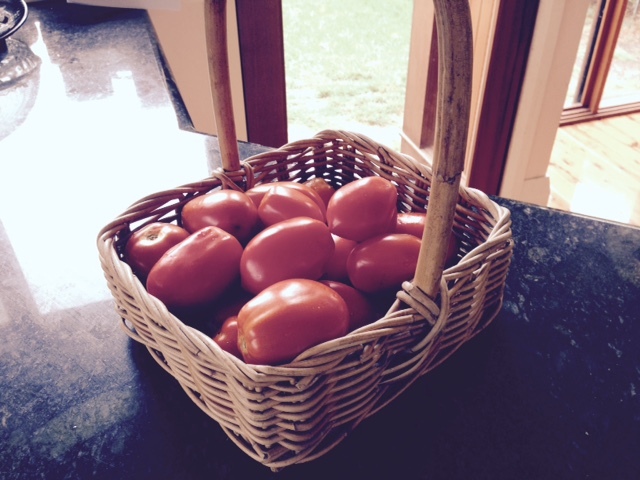 So I started with a perfect Roma tomato, chosen as it’s slightly more resistant to fruit fly – the scourge of our area – and makes a gorgeously crimson Tomato Chutney. 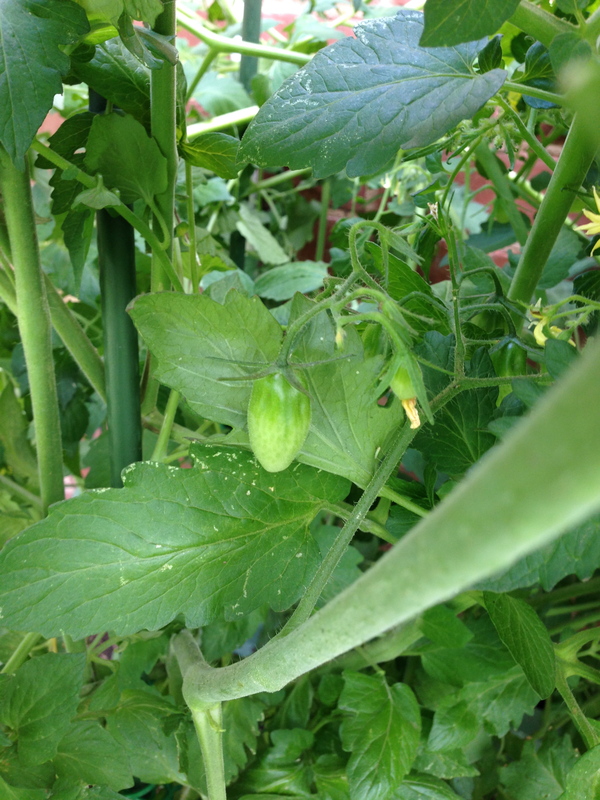 Heritage tomatoes would probably be the best choice if you can find and grow them successfully. 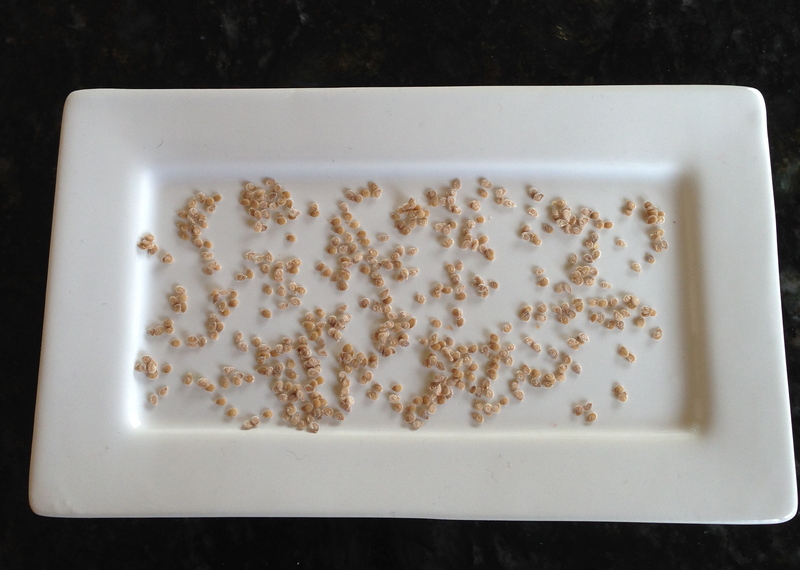 Next step is to follow reliable instructions for saving the seeds. 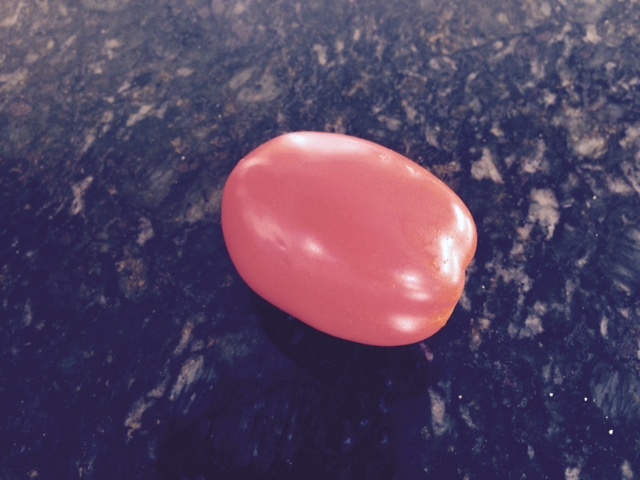 The website ‘How to Save Tomato Seeds to Grow Next Year’ gave a wonderful, step by step guide – with illustrations – that really worked. Can a tomato bush really grow from each one of these? 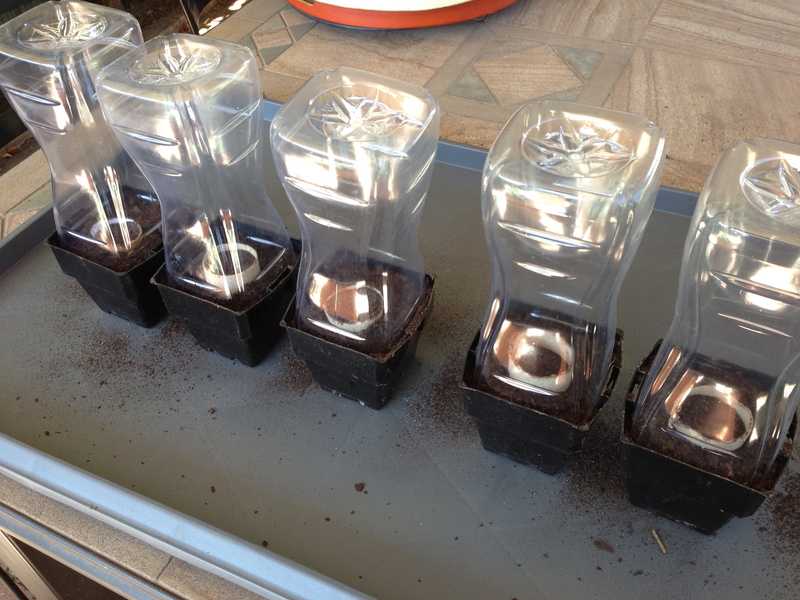 Then it’s time to sow the seeds into small pots using a good quality seed raising mix. 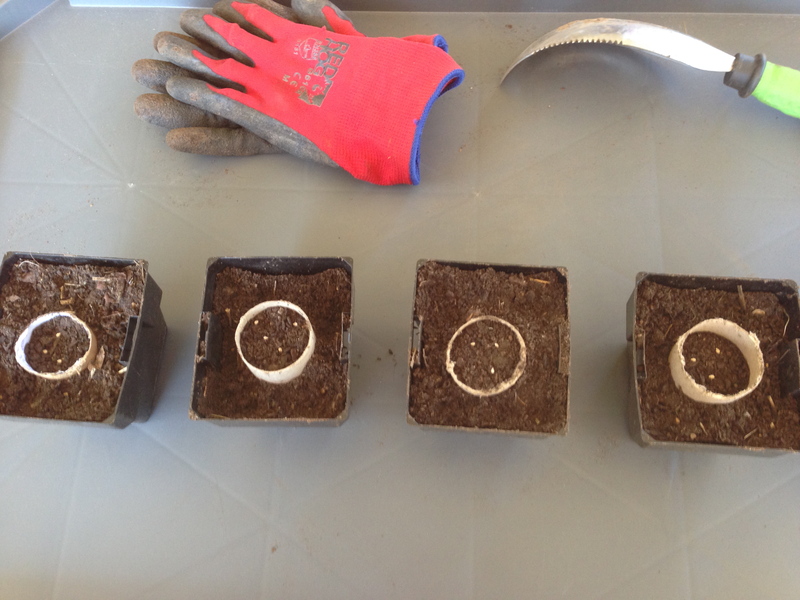 It makes the world of difference when it comes to transplanting them into your prepared garden bed if you have the seeds protected in small saved cardboard rolls (I’m sure you can guess where they come from) as shown: When the seeds sprout into tiny tomato plants, the whole cardboard roll can then be transferred into the ground without damaging the delicate roots. The cardboard eventually disintegrates in the soil. I know it looks like it all happened overnight, but several months have passed since the first photo! Gathering the bounty and saving it until you have enough for a batch of whatever you want to make is the next step. If at all possible, resist the urge to toss them with grilled haloumi and serve on home-made sourdough toast every morning. Now comes the serious bit. 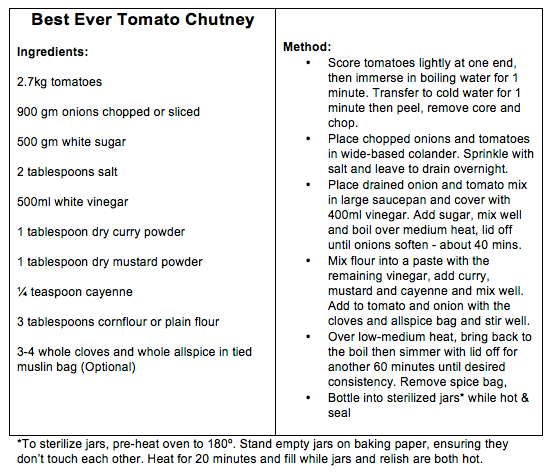 Some years ago, a good friend gave me the Best Ever Recipe for Tomato Chutney. A chutney so delicious that in my experience, it’s been coveted by everyone who’s ever tried it. I have to be feeling über-generous to give away a jar of this ruby treasure. 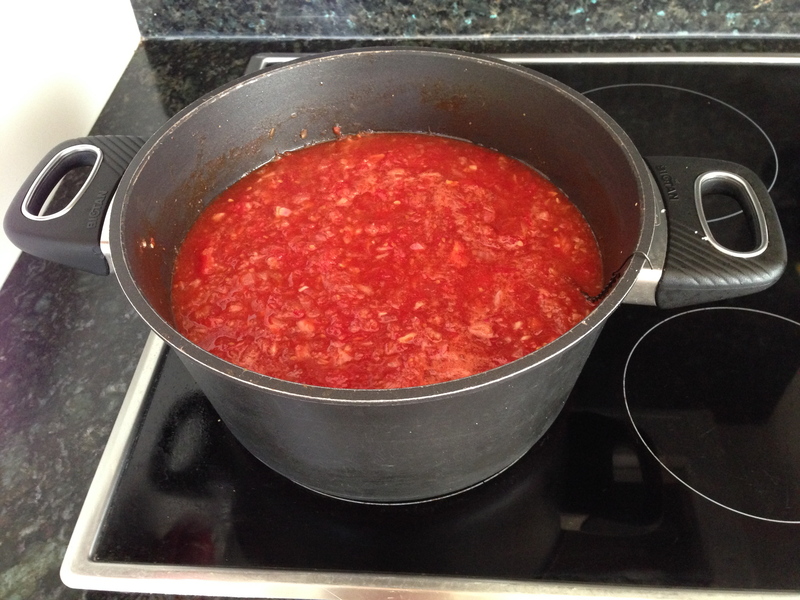 It should make 8 to 10 medium-sized jars, but the recipe can be halved if enough of your tomatoes haven’t ripened at the same time. And if this journey From Source to Sauce hasn’t kept you busy enough there’s always the opportunity to make your own labels for the finished product. Starting a Movement doesn’t get any more satisfying than this! 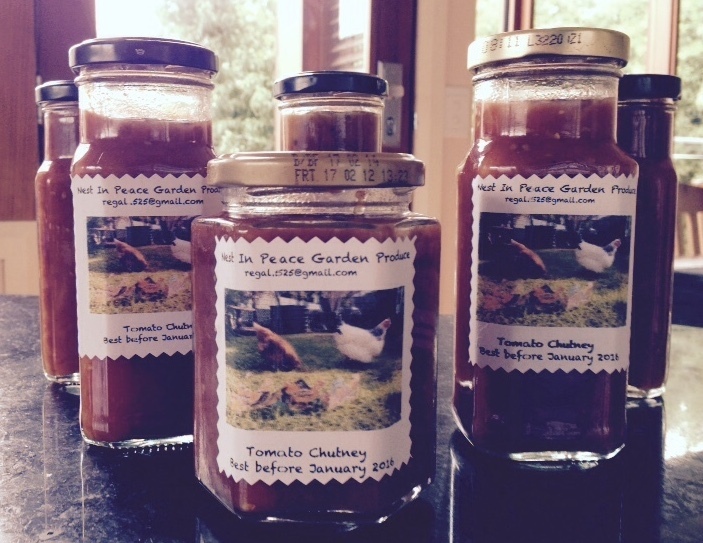 This entry was posted in Food and Cooking, Garden, Learn New Skills and tagged Best Ever Tomato Chutney recipe, From Source to Sauce, Nest in Peace Garden Produce, Seed saving tomatoes on January 11, 2015 by outsidethesquare101.